When it comes to albums, every hip hop fan in some form has a top 10 list, or a top 20, 25, 50, etc. It can go on and on. Although it took me a slightly long time to pick ten favorites (mainly because there's A LOT of albums I like), the following list will likely never change. These albums are not only long time personal favorites of mine, they instantly take me back to a time and place in my life that I fondly look back on (#nostalgia). In addition to the respective discographies of Nas and Jay-Z, my top 2 favorite artists of all time, these ten 5 star albums define my taste in hip hop and they are 10 of the greatest albums of all time. Wayne's Words- Well, what more can be said about this album that hasn't been said already?! This is quite simple the greatest album of all time, and of course it would come from my #1 favorite artist of all time, Nas. Released in a great year, 1994. this album captures what hip hop is about and then some. FINE lyrics, tight production, NO filler, what more can you ask for in an album. *Including the 10th Anniversary Platinum Edition that was released in 2004, I bought this album 3 times. *I never owned the cassette version, but I did have a "dubbed version" of it, (which was the first time I heard it) as well as a copy of the master that I never returned to a person who let me borrow it, smh+lol. Wayne's Words- This is one of many albums that I've owned since its initial release, and it's SO timeless. This is such a cinematic masterpiece on all levels. 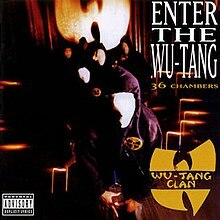 Rae and Ghost, along with the rest of the Wu members (except ODB-RIP), essentially delivered in spades on the mic, and The RZA made what is possibly the best produced album ever. It's a classic in every sense of the word, and it was difficult trying to pick 5 favorite songs on this one! Wayne's Words- A hell of a debut from my favorite group of all time. Classics up and down the lineup. This is one of many albums that's credited with the "East Coast Renaissance" in the early 1990s. Wayne's Words- You're about to witness a dynasty like no other. I know Jay hadn't uttered these words in 96 when this classic was released, but it certainly does apply here. Although he's been close on one occasion to besting this album (The Blueprint), my #2 favorite artist of all time was at the top of his game when he dropped this, and it remains his most distinguished body of work. *I bought this album three times. Wayne's Words- To this day, I still say 1997 was the greatest summer I ever had, and when I think of hip hop music at the time, this album is usually one of the first I mention. 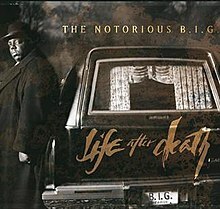 If only the late great Christopher Wallace had been alive to enjoy the success of this album. As far as double albums go, it's in the top 5 no question. Wayne's Words- "Liquid Swords is basically coming sharp with your tongue". GZA was once quoted as saying this and I agree 100 percent. 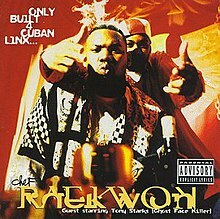 Released in 1995, along with other Wu classics like "Only Built 4 Cuban Linx" and ODB's "Return To The 36 Chambers", this is another awesome album, lyrically and production wise. Sadly, GZA hasn't come close to matching this album, but as it stands, it remains his best and a true statement to his mic skills. Wayne's Words- If there ever was an album that not only captivated hip hop fans and defined the entire West Coast sound, it's this album. 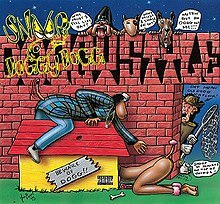 Dr. Dre continued his stellar track behind the boards with this album, and introducing the likes of Snoop Doggy Dogg, Tha Dogg Pound, The Lady of Rage, RBX, etc, was more iicing on the cake. 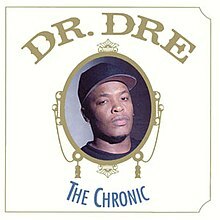 As mentioned by Dre years back when it came to Death Row Records, "The Chronic was the foundation". Yes indeed. Oh yeah, I wish "Deep Cover" was on this album also, lol. *I owned a "dubbed copy" of this album before I purchased the CD. Wayne's Words- My dad actually had a copy of this album on tape, and he let me have it (not sure if he didn't like it or not), and once I heard it, I couldn't stop playing it. This is one of many albums that defined the east coast sound in the mid 90s. Havoc and Prodigy delivered a bone chilling classic that'll always remain their best album on all levels. I still can't believe the first part of "Shook Ones" was not on this album. Either way, it's still classic. *I owned 3 versions of this CD, most recent version I bought in February 2003. Wayne's Words- Rakim is one of the most influential hip hop artists in history. If this were the only album he ever released, his influence would still be felt. Talk about an album with so many hip hop quotables, classics up and down the tracklisting, production that was slightly simple yet VERY effective, and you have the makings of a hip hop classic.